At Adore Bridal, we have everything you need to complete your wedding look. Our stylists can help you find wedding dresses Peoria IL brides Adore. After that, we also have the tuxedos and bridesmaid dresses for your bridal party. After you find your dream dress, we also have the veils, bridal shoes, necklaces, bracelets and other accessories that will help you become the bride you have always dreamed of being! Just as every bride has a different personality, so does every dress. Finding the perfect gown for a bride is about finding that perfect match. At Adore Bridal, we’re confident that we have the wedding dresses Peoria IL brides and brides throughout Central Illinois can’t wait to say “I Do” in. A memorable wedding starts with finding the perfect dress. From big designer names, private labels exclusive to Adore and designs straight off the runway, our selection is comparable to none, and so are our stylists. Our stylists are skilled at getting to know their brides and finding what they’re looking for. When you schedule an appointment with Adore, you are really scheduling an appointment with your own personal Adore stylist. We are proud to offer Midwest brides an intimate bridal experience. This starts with your stylist asking you about your vision. Then, your stylist will pull dresses that are a perfect match for what you’re looking for. Often, our stylists find a bride’s dream dress before she even walks in the door. 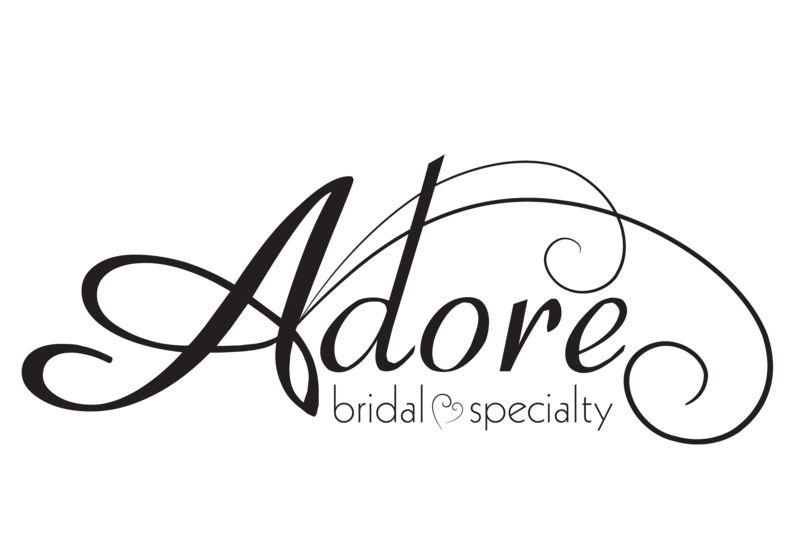 At Adore Bridal, we want to provide you with the best bridal experience possible, and we are looking forward to making your wedding dreams come true! You can trust Adore Bridal to find the wedding dress Peoria IL brides fall madly in love with. Schedule your appointment online or call us at 309-291-0838 today!